Stolen iPhones: Bloomberg blames Apple products for New York City crime rate. Are Shiny Apple Products Driving Up the Crime Rate? 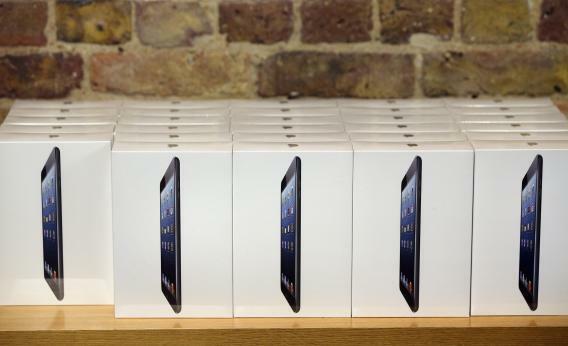 Here’s at least $10,000 in iPad minis. Armed robbers hit an Apple Store in Paris on New Year’s Eve, making off with $1.3 million in iPhones, iPads and laptops. That’s a lot, but it’s actually less than the $1.5 million in iPad minis that thieves nabbed from New York’s JFK Airport in November. Then again, it’s far more than a pair of bungling burglars got from a Temecula, California Apple Store in September, when they rammed the entrance with a BMW, then got stuck on the way out. Is this some sort of trend? Foreign Policy’s Joshua Keating thinks so. He adds the high-profile break-ins to numbers that show a big spike in street thefts of Apple products and asks if we’re in the midst of a global Apple crime wave. Before you scoff, consider that just last week New York Mayor Michael Bloomberg blamed iPhone thefts for a rise in his city’s overall crime rate. He pointed out that Apple product thefts were up by an amazing 3,890 in the city in 2012. If Apple-related crimes had just held steady, the number of total major crimes in New York would have actually been slightly down for the year. None of this is to say that Apple products are a menace to public safety—just that, like car stereos and cigarettes, they are ubiquitous, easy to pilfer, and offer great resale value relative to their size and weight, making them an ideal target for the discerning crook. Unlike, say, books.